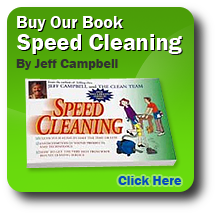 Welcome to the Speed Cleaning affiliate program, an excellent way to generate more revenue with your website. We do all the work! 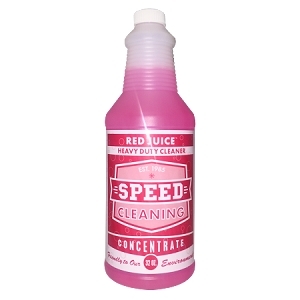 Speed Cleaning will provide you with all the links you need to be able to track the sales you originate. Simply copy and paste the code we supply into your website or blog. With an easy to use interface, you will get notification immediately when an order has been approved. You can also track your affiliate rewards through the "My Account" dashboard. If you already have an account with TheCleanTeam.com, you are already an affiliate! Simply click on the "View Details" link next to Affiliate Statistics in your Account Dashboard to learn more about the program. *Subject to terms and conditions. Affiliate commissions will be credited to your account for use toward future purchases on this site. Affiliate commissions are not paid in cash or the equivalent. Commissions are posted to your account as a GIFT CERTIFICATE each time your balance reaches $25. The Gift Certificate may be used to purchase any product on TheCleanTeam.com. You may not purchase products through your own affiliate links for your own use, on behalf of customers, friends or family, or for resale or commercial use of any kind. Such purchases may result (upon our sole discretion) in the withholding of referral fees and/or the termination of this Agreement. We do, however, encourage our Speed Cleaning Professionals to promote affiliate links to their house cleaning customers through websites, blogs, social media and newsletters. .